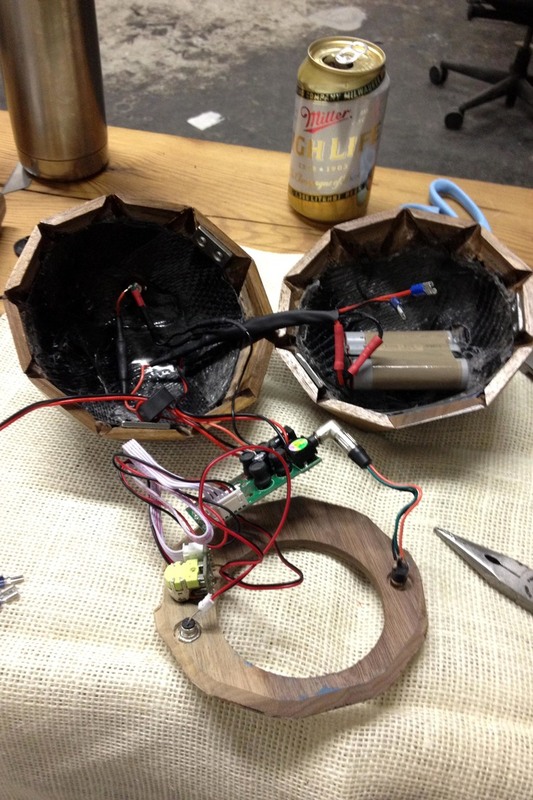 Prototype for battery powered speakers that began with client asking us to put speakers into a coconut. 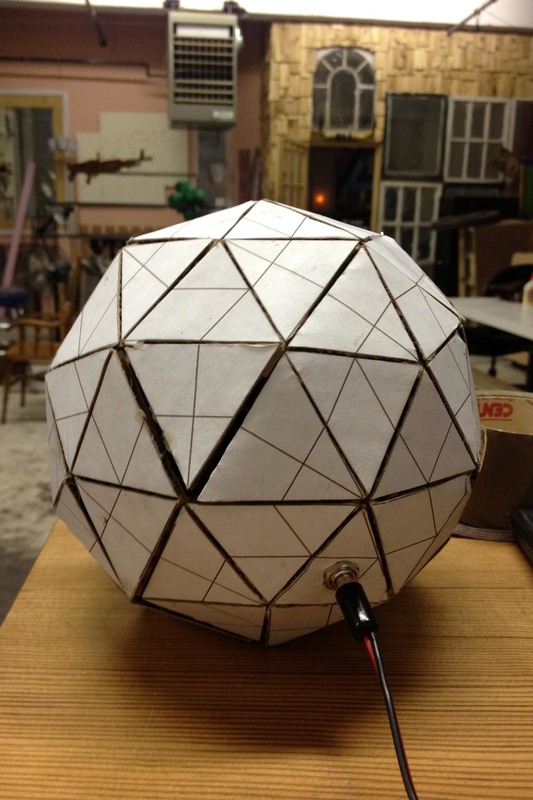 Finished prototype was a hardwood walnut geodesic sphere, with each piece CNC cut. Lithium Ion battery power, 15W amp, stereo sound.